Bishnupur MP Soumitra Khan joined the rival BJP on Wednesday while Bolpur MP Anupam Hazra is also likely to join the saffron party. 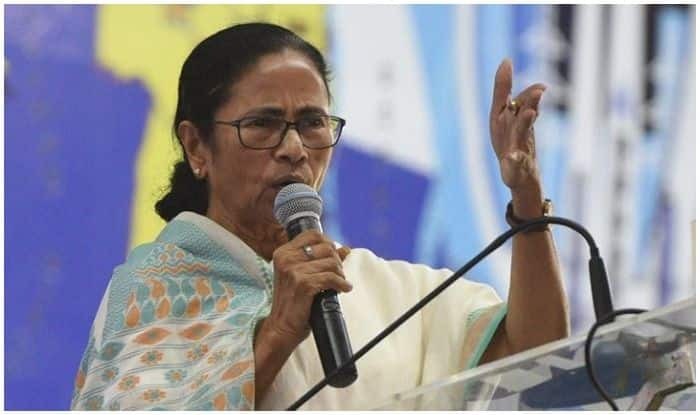 Kolkata: Trinamool Congress (TMC) suffered a major setback ahead of the Lok Sabha Elections 2019 as one of its two MLAs who had been expelled from the party joined arch-rival Bharatiya Janata Party (BJP) while the other is expected to follow suit. Bishnupur MP Soumitra Khan joined the rival BJP on Wednesday while Bolpur MP Anupam Hazra is also likely to join the saffron party. Reportedly, a BJP leader said that not only Khan but six other TMC MPs were in touch with them. Though BJP has not named any other TMC MPs, it is being speculated that both Arpita Ghosh and Satabdi Roy might change their loyalties. As per sources, the party MPs are known to be close to ex-TMC leader Mukul Roy, who has joined BJP. The deflection came days before West Bengal Chief Minister Mamata Banerjee’s January 19 Kolkata rally. TMC expelled both Khan and Hazra for anti-party activities and accused them of corruption. The news about both the MPs joining BJP had been on since last year as it was clear TMC would not re-nominate them in the Lok Sabha polls. Meanwhile, Soumitra Khan said TMC was no longer a party but a “private company” of Mamata and her nephew Abhishek. “A syndicate raj and police raj are going on hand-in-hand in Bengal,” he said. The 38-year-leader said he, like many other young people, has faith in Prime Minister Narendra Modi who, he added, would bring about a change in the state. “There is no democracy in the state. People cannot vote. Police raj is there,” he told reporters at a press conference here. Union minister Dharmendra Pradhan made the announcement of Khan joining the party in the presence of Mukul Roy, a former top TMC leader who had defected to the BJP in 2017, and other BJP leaders. Khan’s decision to quit TMC came soon after Bankura SDPO Sukomal Das registered a case against him following complaints of corruption in the recruitment of primary teachers. A day earlier, the MP’s assistant Susanta Dan was arrested. The Bishnupur MP had met BJP president Amit Shah before joining the party in the presence of Union minister Dharmendra Pradhan.